Led by wildlife biologists James DV. 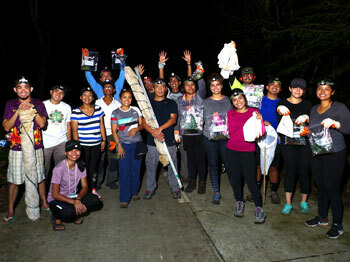 Alvarez and Camila Meneses, the Museum of Natural History (MNH) continued its biodiversity expedition in Mt. Guiting-guiting, Sibuyan Island in Romblon last 22 May to 24 June 2017. 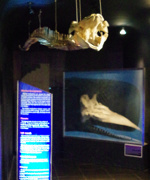 Alvarez and Meneses is junior researcher and thesis student, respectively at the Museum. They are conducting their fieldwork as part of their manuscript data gathering for the Master’s degree in Wildlife Studies at the University of the Philippines Los Baños. 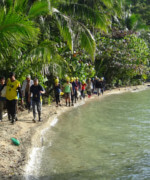 Sibuyan Island has been identified by the MNH as a site for its current and future researches. “The museum has laid out short and long-term plans to gather data which will be important in managing the island’s biodiversity,” Alvarez reported. 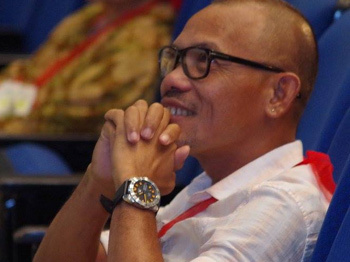 The scientific community mourns the loss of one of the best field biologists in the Philippines -- Danilo “Danny” Balete. 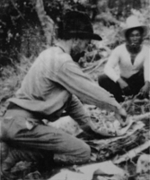 Balete is known for his work on the taxonomy and conservation of Philippine mammals. Through decades of scientific work, he has described and co-described more than half of the known small mammals of the country. The discoveries he has been part of has put the island of Luzon as the center of mammalian diversity in the world. 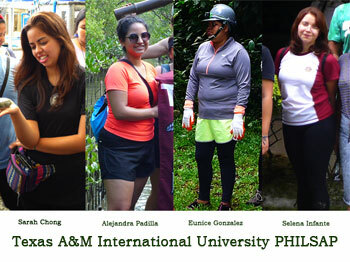 Shortly after their last activity during the Pangasinan fieldwork, some delegates of the Texas A&M International University (TAMIU) Philippines Study Abroad Program (PhilSAP) shared some of their most memorable experiences. For Sarah Chong, Alejandra Padilla, Eunice Gonzalez and Selena Infante, the mangrove and giant clam observations were very interesting because their first-time experiences were assisted by Museum of Natural History. As biology students, they appreciated the way the fieldworks were conducted. For the final fieldwork of the TAMIU Study Abroad Program in the Philippines, the UPLB Museum of Natural History guided the delegates in exploring Mt. 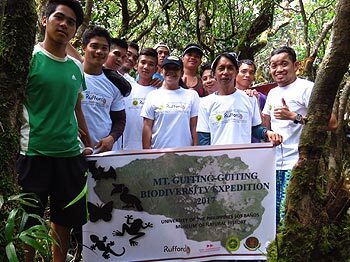 Makiling and discovering some of the fauna that inhabit the mountain last 30 June and 01 July 2017. The TAMIU delegates were composed of ten students together with their professors Drs. Marcus and Ruby Ynalvez. The MNH team was composed of Director Juan Carlos Gonzalez, extension specialist Florante Cruz, entomologists David Emmanuel General and Jeremy Naredo, as well as field biologists James Alvarez and Camila Meneses. Museum technicians Edison Cosico and Orlando Eusebio along with two interns completed the team. 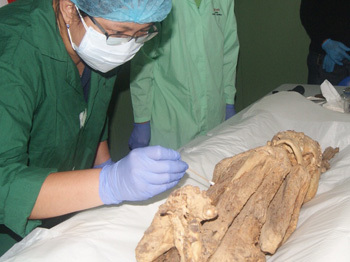 The Museum of Natural History is currently working with the National Museum of the Philippines in documenting, identifying, and assessing fungi that are present in the Cordillera mummies as the initial approach in the preservation and conservation of the mummies and associated material culture (coffins, textiles and burial sites). The Kabayan Mummy Burial Sites are listed as National Cultural Treasures by the National Museum of the Philippines pursuant to Presidential Decree No. 260 in 1973. 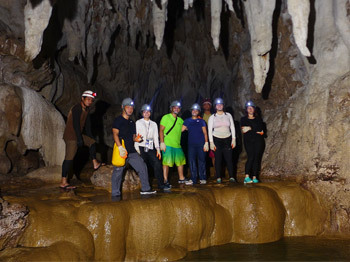 For the third fieldwork of Texas A&M International University (TAMIU)’s Philippine Study Abroad Program (PhilSAP), the Museum of Natural History took the delegates to Pangasinan last 21 - 24 June 2017 to observe marine and cave habitats. The delegates also visited a mangrove propagation center as a continuation of what they initially observed in a mangrove forest in Oriental Mindoro. Accompanying them on the trip was the MNH team including extension specialist Florante Cruz, marine biologist Julius Parcon and entomologist Jeremy Naredo. Also extending a helping hand for the students’ learning experience was the caving group Balincaguin Conservancy’s adviser, Jerry Rendon.